Presiding federal judge Jesse M. Furman has meted out the stiffest sentences to date in the widespread ‘Taiwanchik-Trincher'” sportsbetting and gambling case, with major defendants Vadim Trincher and Anatoly Golubchik each receiving five-year prison sentences in addition to multi-million-dollar fines that had previously been negotiated with authorities. Vadim Trincher as he celebrated his WPT victory in 2009. Golubchik’s sentence was handed down yesterday by Furman in US Distrcit Court, while Trincher’s was issued earlier today. In both cases, Furman appears to have issued sentences somewhat larger than that called for under standard sentencing guidelines. Possible mitigating circumstances include the high dollar volumes funneled through offshore Internet gambling sites associated with the gambling ring’s activities, and the assertion that titular head of the operation, international organized-crime boss Alimzhan Tokhtakhounov, who has remained on the lam from a wide-ranging and growing list of US charges for more than a decade, including those springing from this case. Tokhtakhounov, who is known as “Taiwanchik” to his associates, and to whom Trincher and Golubchik, according to prosecutors, received permission and protection for the widespread gambling operation, is the only one of the case’s 34 defendants not brought before US justice in the case. Tokhtakhounov is asserted by authorities to be a vor, or “thief-in-law,” one of a select few high-ranking organized crime figures from the former Soviet Union who continue to oversee a global network of criminal operations. Trincher is a noted poker figure, both for his World Poker Tour win for $840,000 at the 2009 Foxwoods Poker Classic, and for his hosting of ultra-high stakes poker games in his swanky New York City Trump Towers. Those games were included in the massive list of indictments brought a year ago, and the apartment itself was forfeited to authorities as part of Trincher’s earlier plea deal. 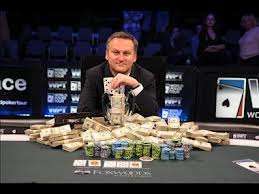 According to USAO prosecutor Preet Bharara, afigure well known to the poker world for his leading role in the online poker world’s 2011 Black Friday series of indictments, “The sentences meted out to Anatoly Golubchik and Vadim Trincher are just and appropriate penalties for the roles the defendants played in this far-reaching, Russian-American organized crime ring. I’d like to thank the Federal Bureau of Investigation, the New York City Police Department, and the Internal Revenue Service for their tireless efforts in working to ensure that the members of this underground enterprise were held to account for their crimes.” Both Golubchik and Trincher also suffered fines and forfeitures amounting to more than $20 million each, including in Trincher’s case the Trump Towers apartment. Trincher’s two sons Illya and Eugene, have also pled guilty for their own roles in the operation. The USAO presser continues with a succinct description of why the pair received the stiffer-than-expected sentences. According to the brief, “The Taiwanchik-Trincher Organization (the ‘Organization’) was a criminal enterprise with strong ties to Russia and Ukraine. The enterprise operated a high-stakes, illegal sports gambling business out of New York City that catered primarily to Russian oligarchs living in Ukraine and Russia. Golubchik and Trincher were U.S.-based participants in the enterprise. Golubchik and Trincher booked sports bets that reached into the millions of dollars and laundered the proceeds of the Organization’s international sportsbook.” The statement also asserted that the high-dollar money laundering went both ways, both into and out of the United States: “Between 2006 and April 2012, the enterprise laundered approximately $100 million in proceeds from their gambling operation in Russia and Ukraine through shell companies and bank accounts in Cyprus; and of this $100 million, approximately $50 million was subsequently sent from Cyprus into the United States. Once the money had been transferred to the United States, it was either laundered through additional shell companies or invested in legitimate investments, such as hedge funds and real estate.” Another important figure in the case, New York art dealer Hillel “Helly” Nahmad, is also scheduled to be sentenced today. A Nahmad sentencing update, along with updates on other defendants in the case with notable poker connections, will appear soon here at FlushDraw.